The following is a guest post. Views expressed are solely those of the author and do not necessarily reflect the views of ISIS Europe. In the year 1945 the foundations of the new post-war world were laid in the Crimean city of Yalta. Ironically, today Crimea is witnessing demolition of these same principles. Vladimir Putin’s speech delivered on March 17 on the occasion of annexation of the peninsula is a watershed, marking the end of the Yalta system of international relations that has been decaying slowly since 1991. The Crimean crisis involving Ukraine and Russia unfolded in February 2014 in the aftermath of the Ukrainian Revolution known as Euromaidan. Now that the Crimean people decided via an illegitimate referendum to join Russia, it is time to reassess Putin’s motivations behind the incursion into the peninsula. Numerous analyses have already been done by experts from various domains. Still, although there are elements of truth in all of these explanations, they are given by narrowly focused specialists within specific contexts. [i] Thus, economists talk about the pros and cons of the Russian invasion from their perspective, experts on geopolitics explain the events by rivalry in the international arena, and ethnologists highlight the pending national issues in the Ukrainian territory. The problem, however, is that any specialized account of events by definition fails to show the whole picture. In this regard, a perspective that involves multiple areas is crucial to account for as many factors as possible. As shown below, such a multi-dimensional approach can better expose Putin’s motivations in the Crimean crisis. The economic aspect has been much talked about. Russia’s resource-based economy has been reported to grow weaker over the last few years. Over-dependent on gas and oil revenues, the country is suffering even more in view of the ongoing shale gas boom, which is likely to divert European natural gas buyers. In addition, a significant drop in oil prices may follow after the recent resolution of the nuclear dispute with Iran. In this regard, Russia’s confrontation with the West over Crimea can alleviate the painful consequences of the oil price downturn. On the other side, there are expenses already incurred by Russia in the Crimean crisis, as well as the expenses to-be in the form of investments into the territory. The national aspect covers the internal political situations both in Ukraine and Russia. One of the major achievements of the Ukrainian Revolution is that it has helped to shape the Ukrainian nation. The possibility of emergence of the strong political and civil nation in the country is a direct threat to Kremlin’s power. After all, Putin’s oligarch-based regime is very similar to the one constructed by Ukraine’s ex-president Yanukovych. It is no wonder then that Russian propaganda labels any expressions of nationalism in Ukraine as fascism. The overthrow of Yanukovych is Putin’s defeat in Ukraine. In this context, Russia’s incursion into Crimea can be an attempt to squash Ukraine’s patriotic movement and remove the possibility of systemic changes that can potentially destabilize the political situation in Russia. The foreign policy activity is thus viewed by Kremlin as the best strategy to knock out the revolutionary impulse in the neighboring state. At the same time, however, Putin unwillingly alleviates internal contradictions in Ukraine and consolidates the Ukrainian nation against a real external threat. As a response to this, Russia ventured out to annex Crimea and is well counting for the Eastern Ukraine. The logic behind the maneuver has been the following: if Russia cannot secure Ukraine as the centerpiece of the Eurasian Union, then the principle “divide and rule” comes into play. Besides, such logic of revision of borders by Russia is already backed by a historical precedent of both the de jure proclaiming the independence of the ex-Georgian territories of Abkhazia and South Ossetia and the de facto annexing of them. The geopolitical dimension needs to be paid attention too. For one thing, over the recent decades NATO and the EU have expanded to Russia’s borders, thus inducing Putin to reinforce a buffer zone (Ukraine and Moldova) between the EU and Russia. Since Ukraine has oriented itself towards the West after the February upheaval, Kremlin developed the Crimean incursion to uphold strategic security in the region. For another thing, some experts even go further to claim that Putin seeks to create a long “safety belt” from the Russian region of Kuban till Transnistria at the Moldovan border, with Crimea serving as an important link in this zone. [v] Another geopolitical factor to consider is that Kremlin has generally supported and incited separatist sentiments and “frozen conflicts” in the post-soviet space. Such conflicts could be intentionally heated up, thus giving a lever of pressure to Russia to reclaim its influence over the post-soviet states. On a side note, although Putin’s geopolitical choice is reported by some experts as the beginning of another Cold War[vi], Europe and the West have received another reason for existence. In the 20th century, the West was consolidated against the expansion of the Soviet Union. Today Putin demonstrates that the Western civilization is confronted with a new challenge – Russia. It is forced to seek countermeasures to eliminate this challenge, and at the same time use it to solve its systemic problems. Therefore, while Putin reckons the West has become weak enough, he is likely to give it a second breath instead of reviving the USSR. Finally, in terms of personal security, the Ukrainian revolution has projected a possible end of Putin’s regime. The essence of Putin’s insecurity is the formation of the national identity in Ukraine as opposed to the imperial one in Russia. 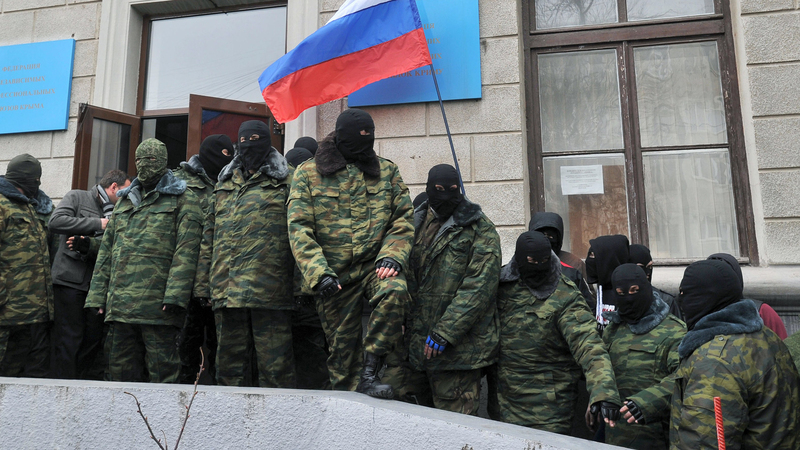 By means of incursion into Crimea, Putin is sending a clear signal to the Russian opposition that itshould not be inspired by the revolution in Kiev. In addition, the Crimean events combined with Kremlin’s propaganda draw the attention of the Russian people away from the long-standing problems in the political, economic, and social life of the country. 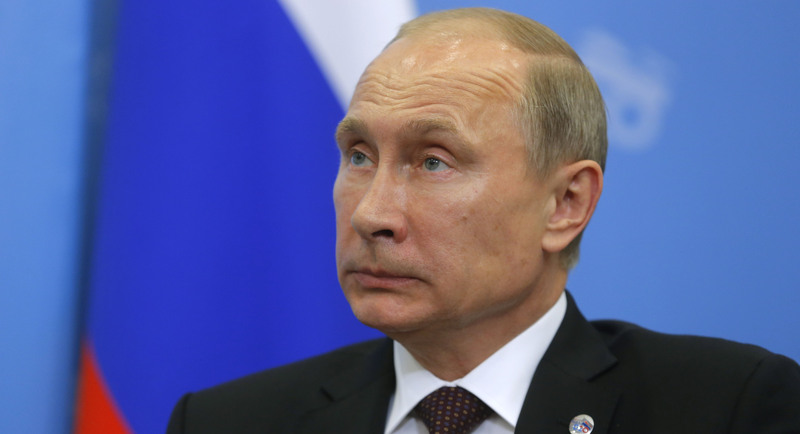 All in all, the annexation of Crimea can be viewed as Putin’s attempt to keep the status-quo. To sum up the above, the Russian incursion into Crimea is a complex event with multi purposes that are not always visible to the public. It can be claimed that in the short term the intervention will bring back the feeling of the lost might to the Russian state, unite its population by means of projecting an external enemy, and divert the people from the burning issues of corruption and government inefficiency. In the medium term, however, the incident will destabilize Putin’s regime severely by exacerbating its economic and political problems. In the long term the war over Ukraine will be a catastrophe for Russia. This entry was posted on 25/03/2014 by ISIS Europe in Opinions and tagged crimea, Energy Security, eu-russia, euromaiden, Frozen Conflicts, geopolitics, NATO, NATO-Russia, putin, russian economy, russian nationalism, us-russa.